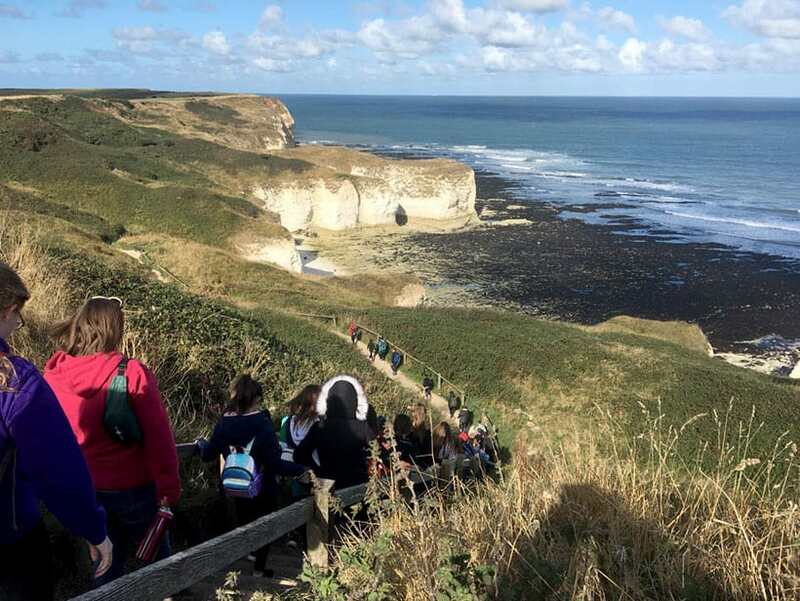 Our year 8 Geography students headed off to Hornsea and Flamborough Head as part of the Year 8 curriculum.The aim of the day was to identify the different types of sea defences that were in place and judge their appearance and life span. At Flamborough Head their task was to identify the different rock features and types of erosion. For example: a Wave-cut platform, longshore drift, a stump and a stack. It was a very informative day followed by ice-cream!